Zoar Pretzel Day will be held April 19, 2019 from 11am – 4pm. The Zoar Separatists always made pretzels on Good Friday as a religious tradition. 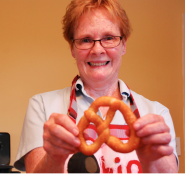 Come to Zoar for a fun, flavor-filled day that includes a how-to demonstration on making original Zoar pretzels given by a Zoar descendent! Plus: Kids activities, Museum tours, Guest Speaker, Kathleen Fernandez, and a sneak peek at Zoar’s new art exhibit, “A Sense of Zoar,” which pairs paintings of various locations in Zoar with scents. 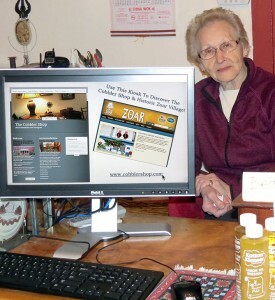 Visit www.historiczoarvillage.com for more info. Photo courtesy of Historic Zoar Village.